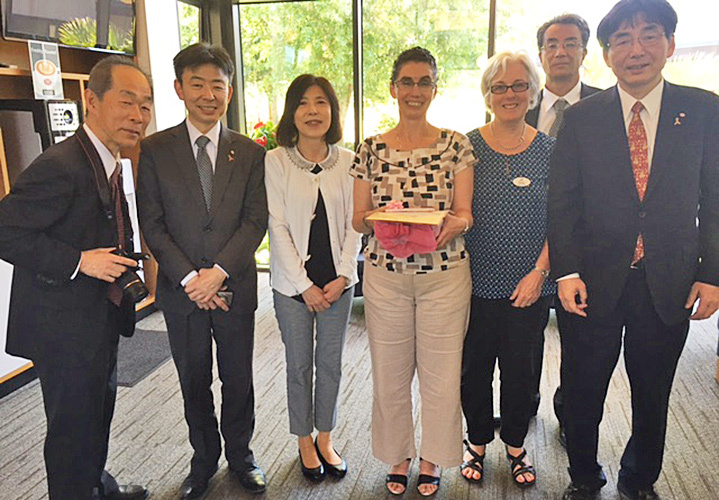 At the end of January, HBH Senior Living hosted a delegation from Nihon Daycare Centre in Japan, a provider of day programmes for children and older people. Due to changes in Japanese family structure (more families where children live away from parents and where everyone is working), there is a need for more day programmes for older people. The delegation came to New Zealand to look at a range of services, including day programmes. They spent time with us in our day programme, had a tour of our facility and a discussion with the CEO and Director of Nursing and Occupational Therapist. We were delighted when the delegation said (through their interpreter) that we did not feel like a service to them, we felt like a family. Since this is exactly what we are trying to achieve we were delighted to have outside observers who didn’t even speak our language see and feel this enough to comment.